Today, McDonald’s has flooded seemingly every nook and cranny of Planet Earth with cheap food served fast. In America, there’s one on every corner, and their food tastes exactly the same in Miami as it does in Oakland. 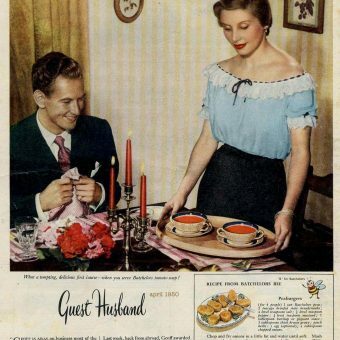 This strict adherence to zero variation, and the convenience of a quick and cheap meal in a world which can’t seem to slow down long enough to cook dinner, has made it what it is today….. with a little help from advertising. Let’s travel through the years, shall we? 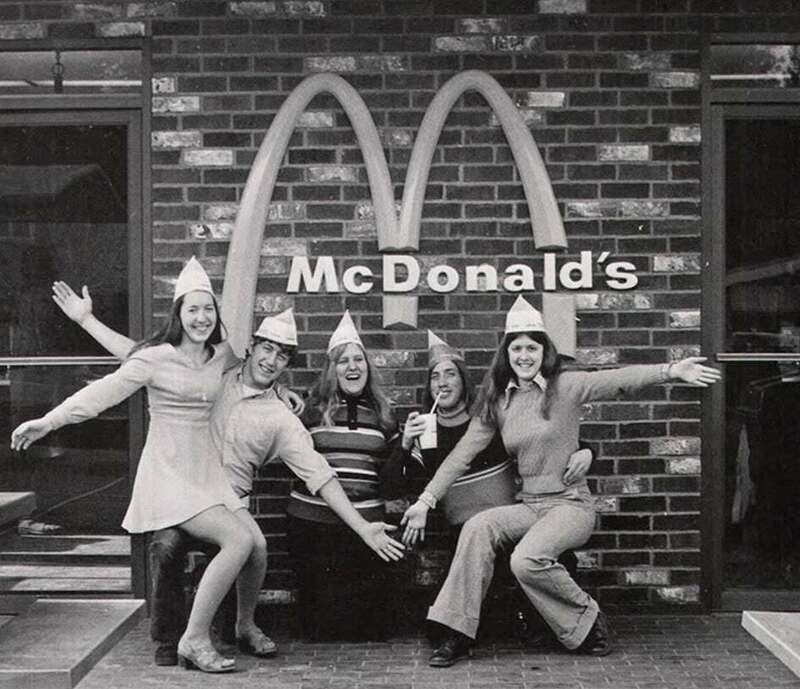 McDonald’s had been around for a couple decades at this point; but its original incarnation would be unrecognizable as a McDonald’s today (it began as a barbecue joint). 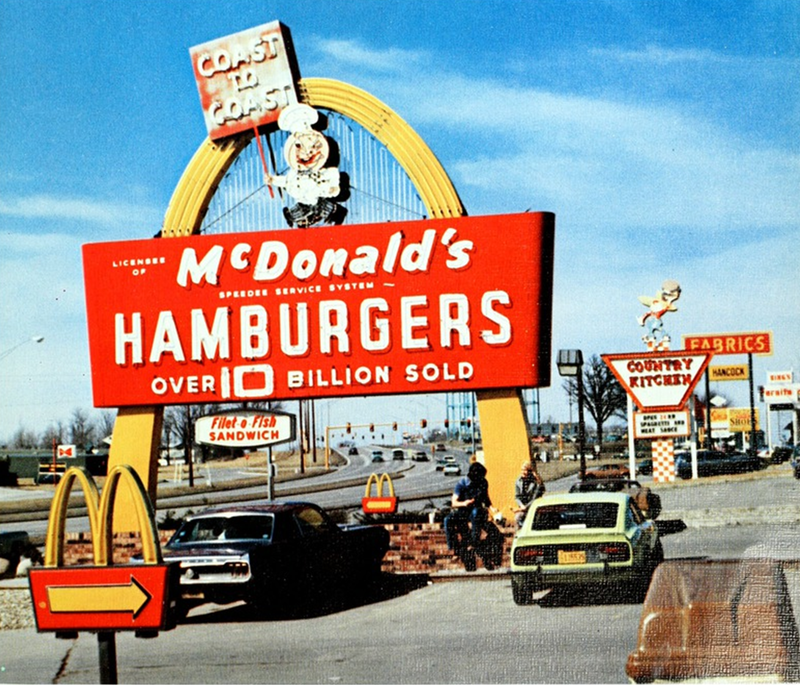 It wasn’t until the arrival of Ray Kroc in 1955 that things started to take shape. 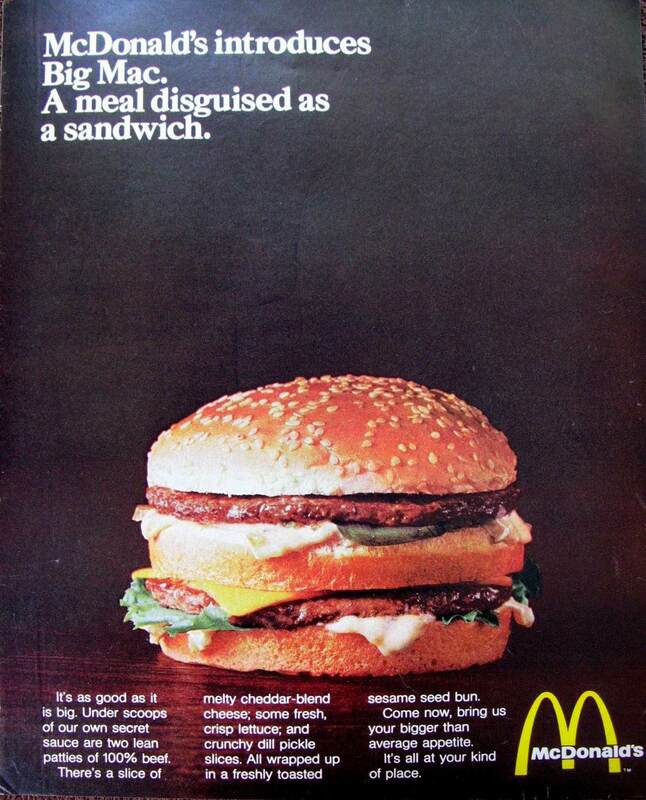 You’ll notice from this 1960 advert with menu – no Big Mac, not even a double cheeseburger. In due time. In due time. This is the year that Ray Kroc bought all rights to the McDonald’s concept from the McDonald’s brothers (for $2.7 million). It was onwards and upwards from here. Take note of the funky logo. You’ll also notice just the single arch in the early days as well. 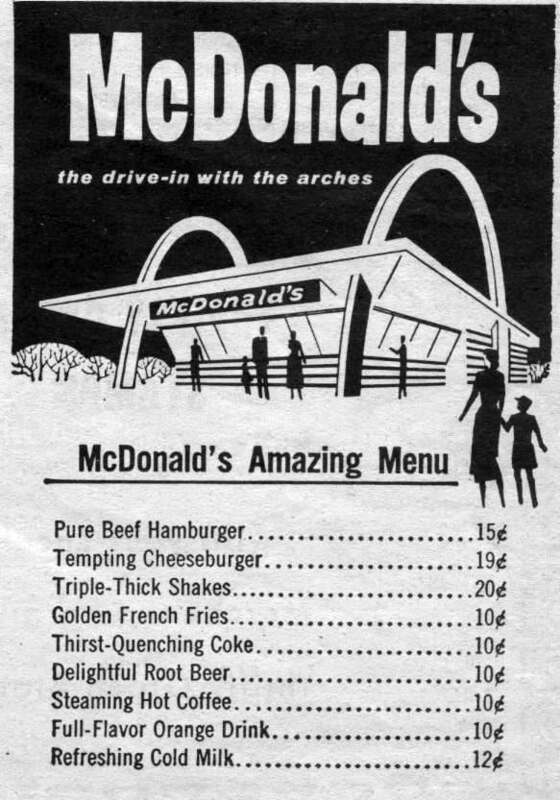 It wasn’t until 1968 that the Golden Arches which we all know and love appeared. McDonald’s noticed Roman Catholics were nowhere to be found on Fridays and during Lent. For their fast food fix, they were going to Frisch’s Big Boy and getting the fish sandwich. 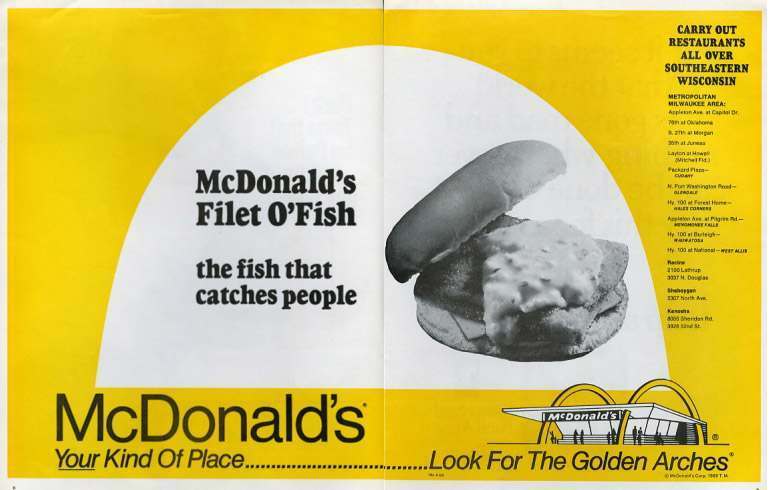 In response, McDonald’s unveiled the Filet O’Fish and the Catholics returned to the Holy Arches. There’s that funky logo again. This time McDonald’s is bragging about delivering a name brand soda, instead of a generic or “lesser” brand. And so the unholy alliance between the two giants of the food industry is forged. You’ll also notice that they’re bragging about how big they are. 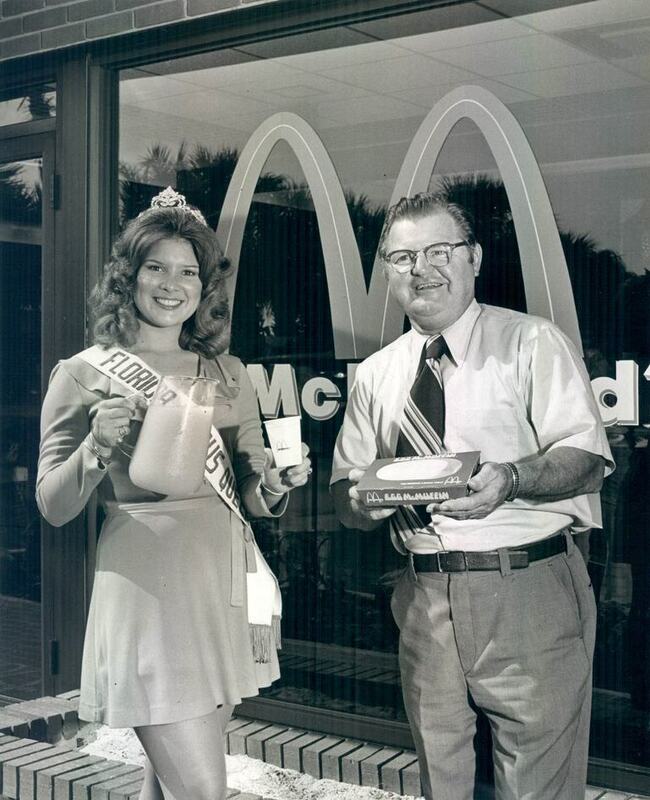 “We didn’t get big by being small.” Indeed, this would be the year McDonald’s corporation went public. At this point they had over 500 stores. A historic year – the introduction of the mighty Big Mac. Sure, it looked and tasted a helluva lot like the famous Big Boy…. but the Big Boy wasn’t fast food per se. Now a double cheeseburger with a Thousand Island dressing concoction was cheap and quickly delivered to your mouth. 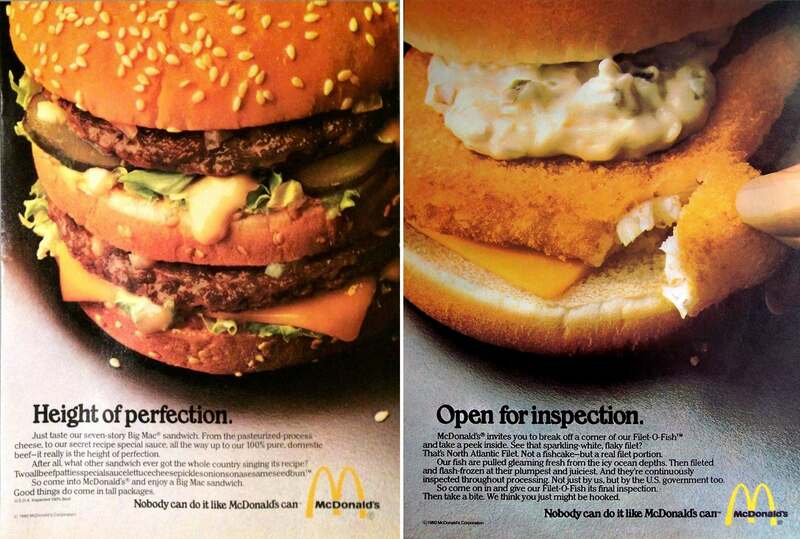 You’ll also notice the Golden Arches are the way they’re “supposed to look.” All is right with the world. 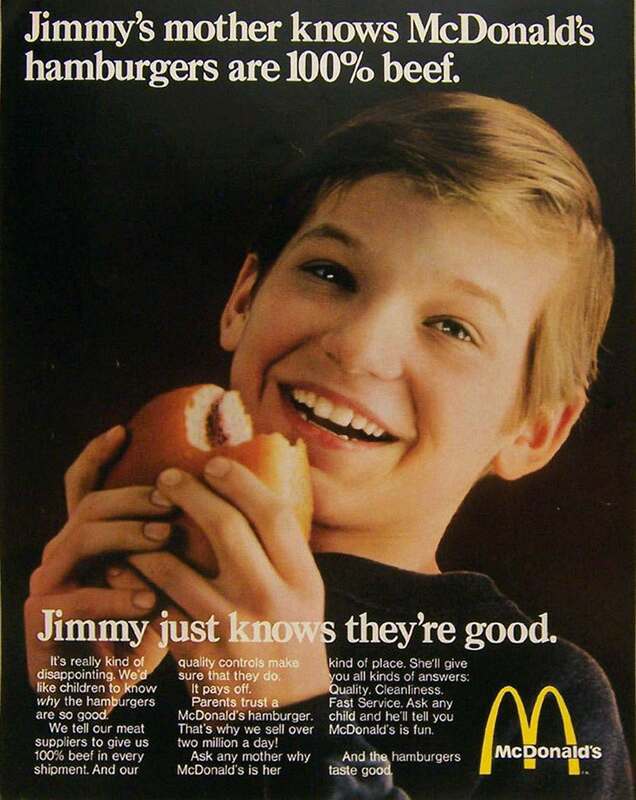 Not the most photogenic kid I’ve ever seen, but the point is made: McDonald’s is healthy. 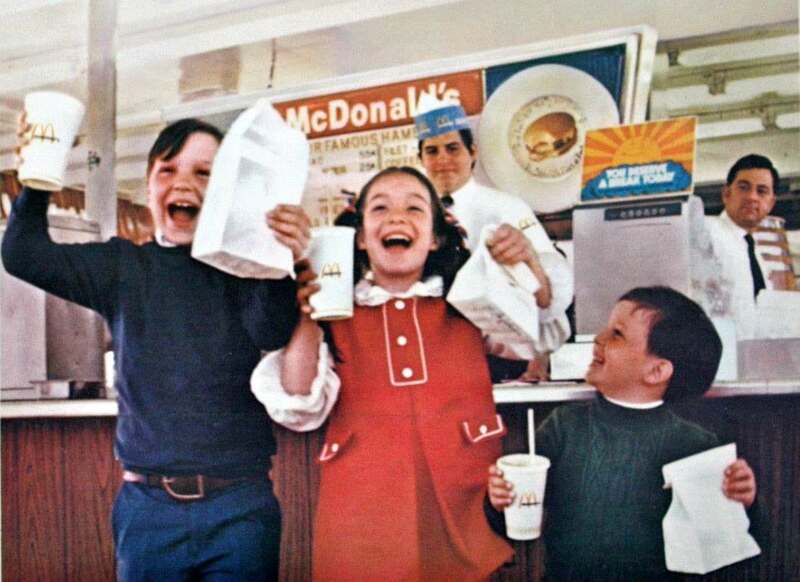 Throughout the 1960s, people rarely ate out, so an infrequent treat at McDonald’s wasn’t really a health concern (not to mention, American home dinner tables weren’t exactly bastions of nutrition to begin with). By 1969 there were 1,000 restaurants and, as the advert touts, “we sell over two million a day”. 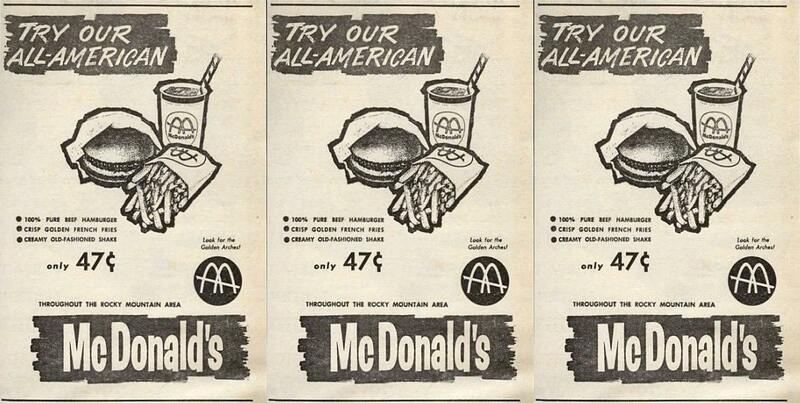 Yes, McDonald’s was beginning to become a big part of the American diet. Childhood obesity wasn’t an issue yet, but it was time for a preemptively assure parents that this crap is good for you. 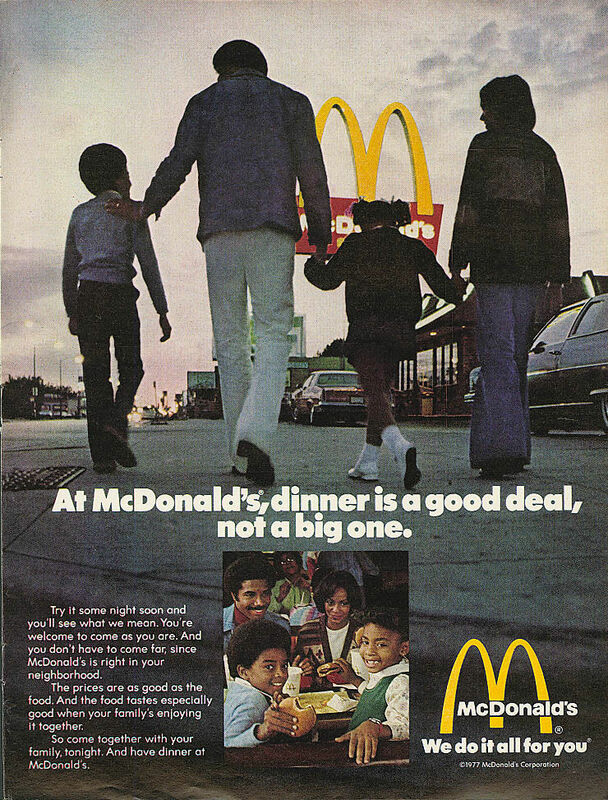 Also note that McDonald’s recognized that their restaurant was a place to take your kids. 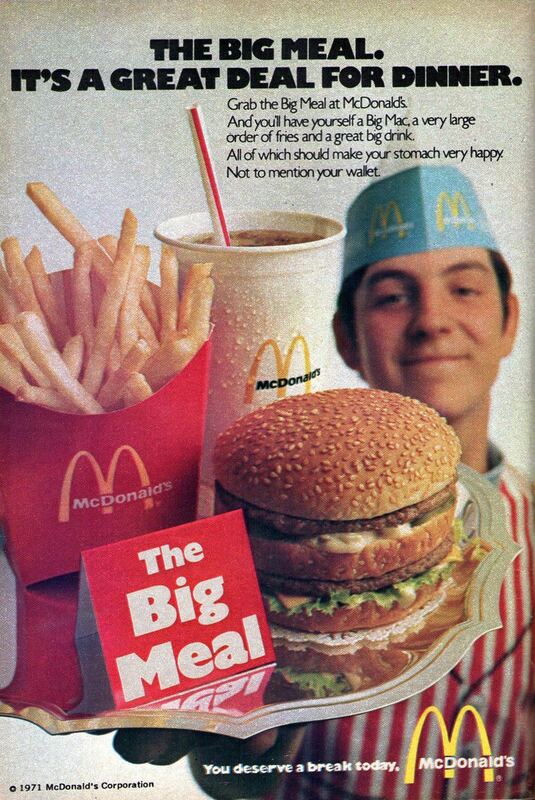 They’d brought the creepy Ronald McDonald on board in 1963, but it was time to kick things up a notch and lure in the kids like the Pied Piper of Type II Diabetes. 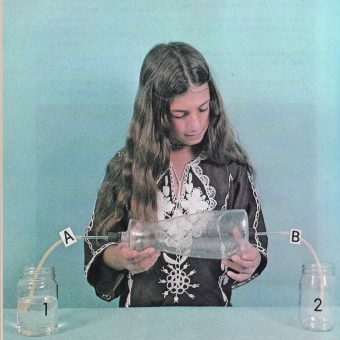 Two big things are happening in 1971. First, we have “The Big Meal”; sort of a larval stage Value Meal. 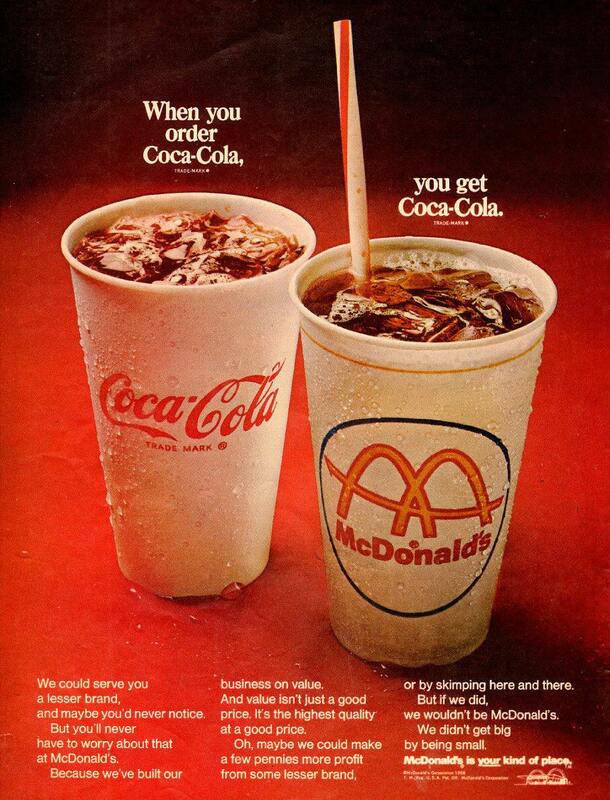 No longer would you walk into a McDonald’s and order a Big Mac and Coke and skip the fries. Those days are over. 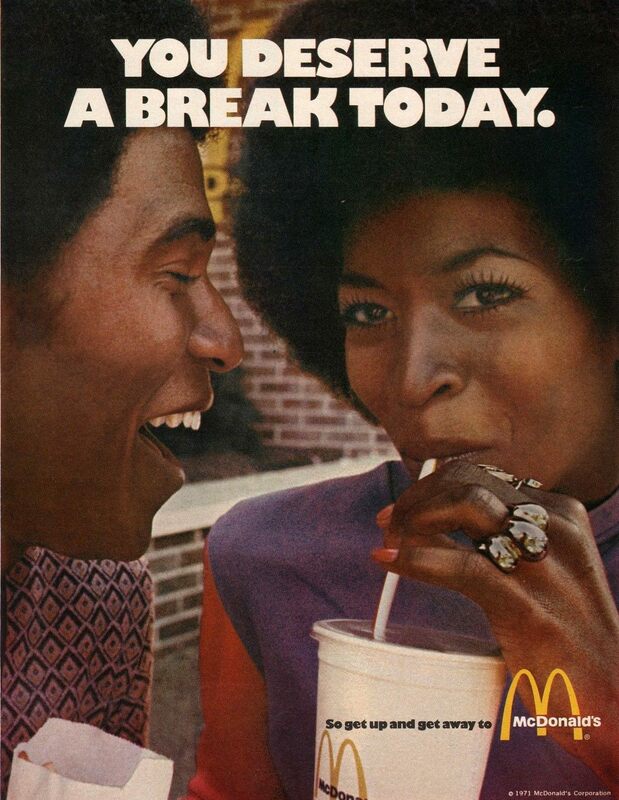 This was also the year of “You Deserve a Break Today”, their most successful slogan, one that would be used for years to come. Note that Barry Manilow is often incorrectly given writing credits for this song. He did sing the jingle for a commercial, but he didn’t actually write it. 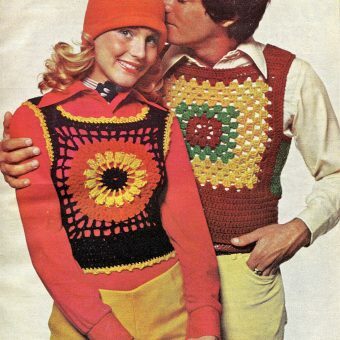 Another advert from ’72. I stand amazed you could get all that for under $4.00. 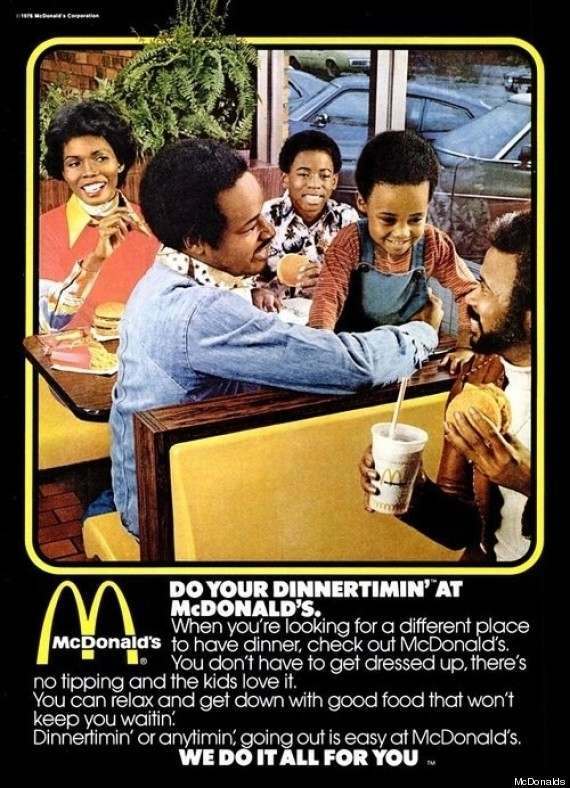 Also take note that McDonald’s is finally targeting black consumers. Vincent: …And you know what they call a Quarter Pounder with Cheese in Paris? Vincent: Nah, man, they got the metric system. 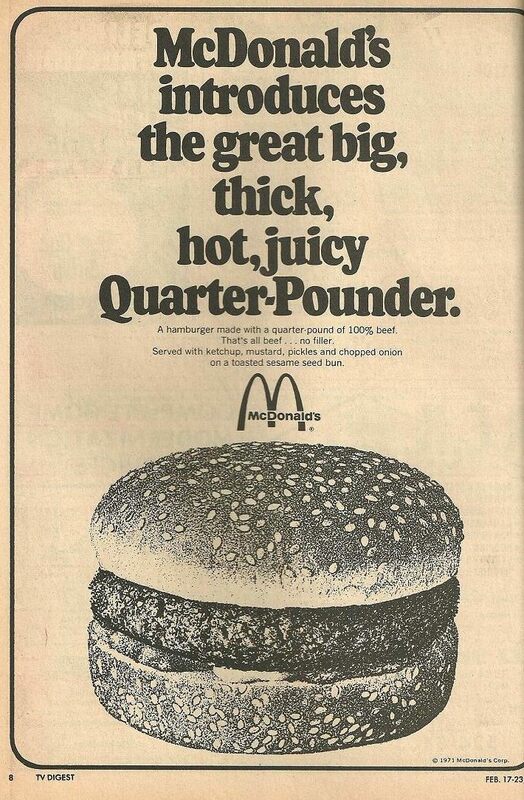 They wouldn’t know what the f**k a Quarter Pounder is. Jules: “Le Big Mac.” [laughs] What do they call a Whopper? Vincent: I don’t know, I didn’t go in a Burger King. 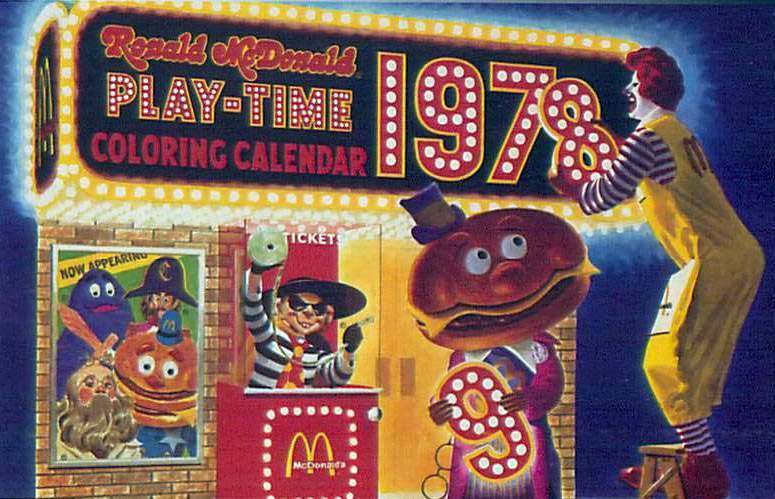 Around this time, McDonald’s gave its locations a facelift. 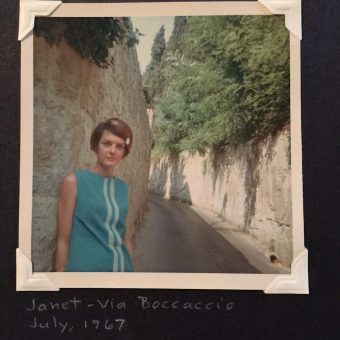 The picture above was taken in 1974, yet it still has the antiquated signage. 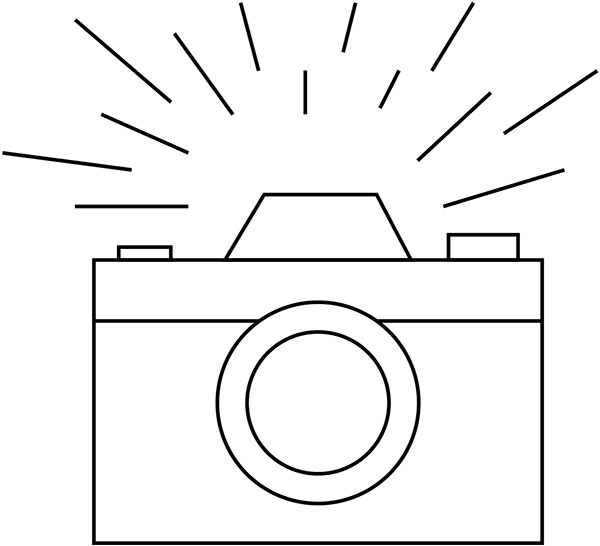 It was time for a redesign. It would be another forty years before McDonald’s would take on such a massive upgrade. Take a look at the size of that cup…. from the looks of it, that regular size looks smaller than today’s small size. Today’s American customer wouldn’t know what to do with such a tiny container. Also note that the massive transition from sugar based Coke to High Fructose Corn Syrup based Coke is underway. Let the childhood obesity commence! 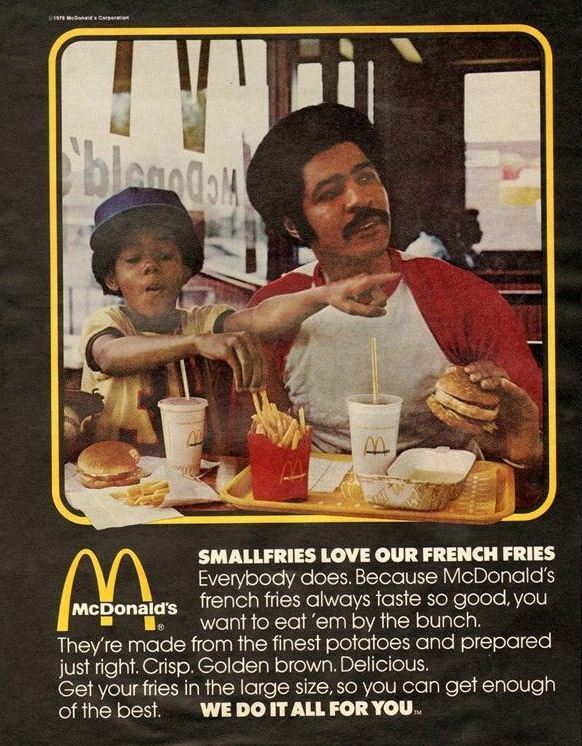 In 1975-1977, McDonald’s released a ton of advertising directed toward black consumers. I’ve heard this particular advert described as “racist” (in particular, an article on Huff Post). I’m inclined to think there’s a difference between trying to appeal to the vernacular of a group and actual prejudice. More afro-centric advertising. 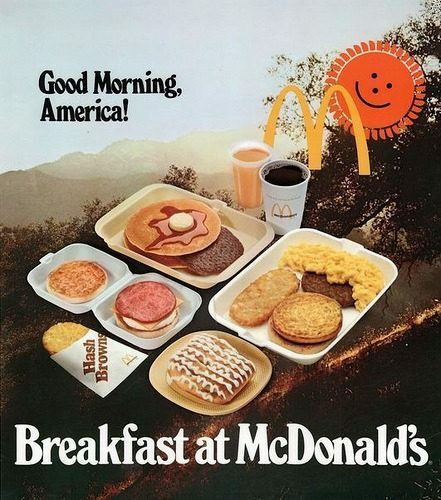 McDonald’s definitely was on a mission. 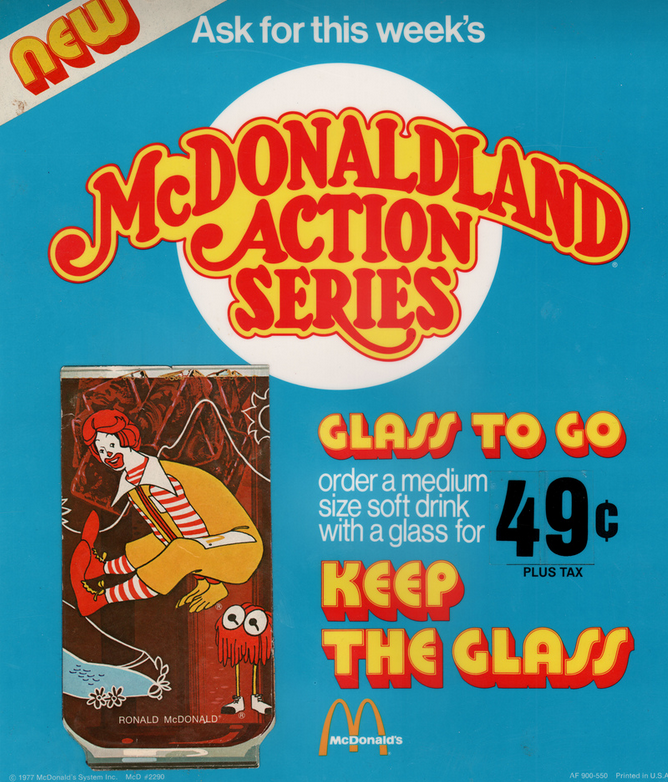 If you were a kid in the 1970s, then you undoubtedly had a couple glasses in the kitchen cabinet from McDonald’s. They’d soon align themselves with the Star Wars franchise, creating a marketing monster: massive promotion for the movie, and a massive incentive to get kids to beg their parents to chart a course for the Golden Arches. The “funny shape” isn’t so funny anymore. 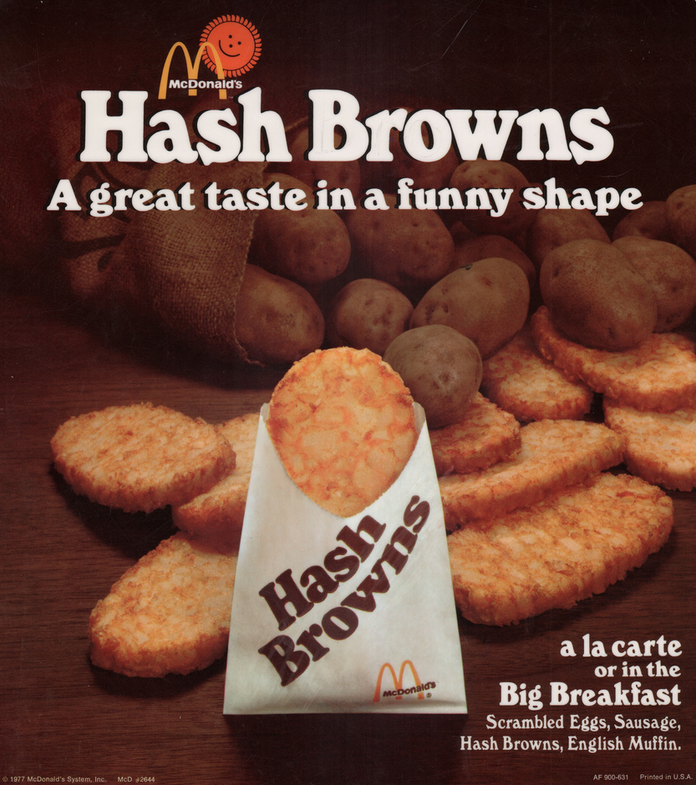 A couple generations have grown up on this stuff – this has become the “accepted shape” of hash browns. 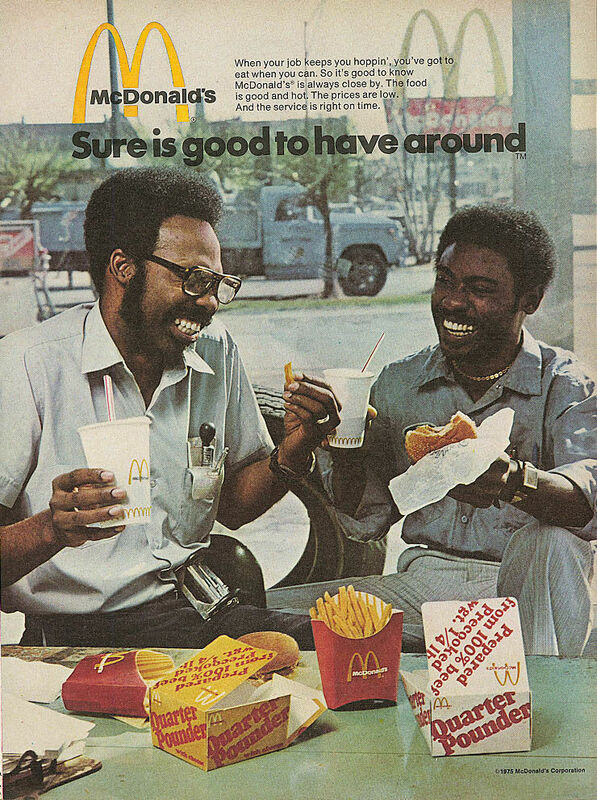 In ’78 McDonald’s fought to prevent their workers from joining a union. But it’s all good – that same year, the sundae is added to the menu. Lots of Styrofoam at the ol’ McDonald’s restaurant. It wouldn’t be until the late 1980s that the McToxic containers became an issue. 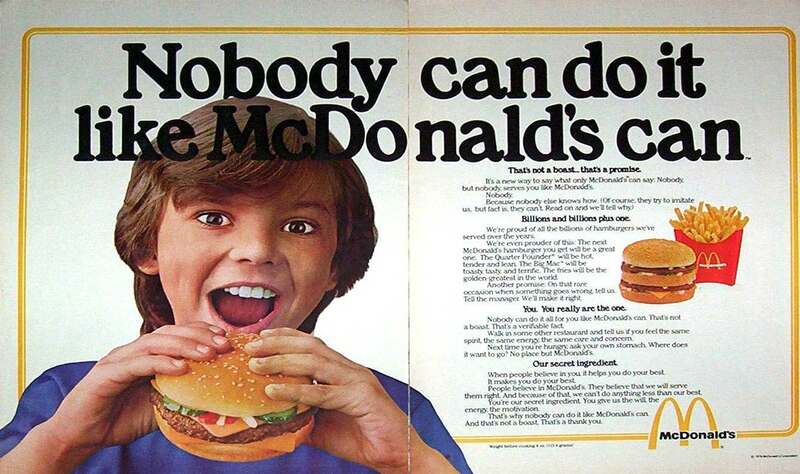 A new slogan is released: “Nobody can do it like McDonald’s can.” It doesn’t have the same mojo as “You deserve a break today”, but it worked well enough to use through 1983. 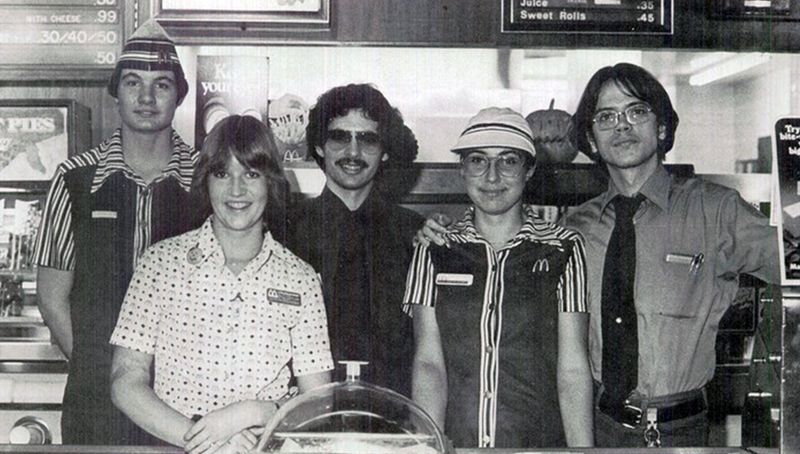 Here’s the Glendale, California McDonald’s crew from 1979. 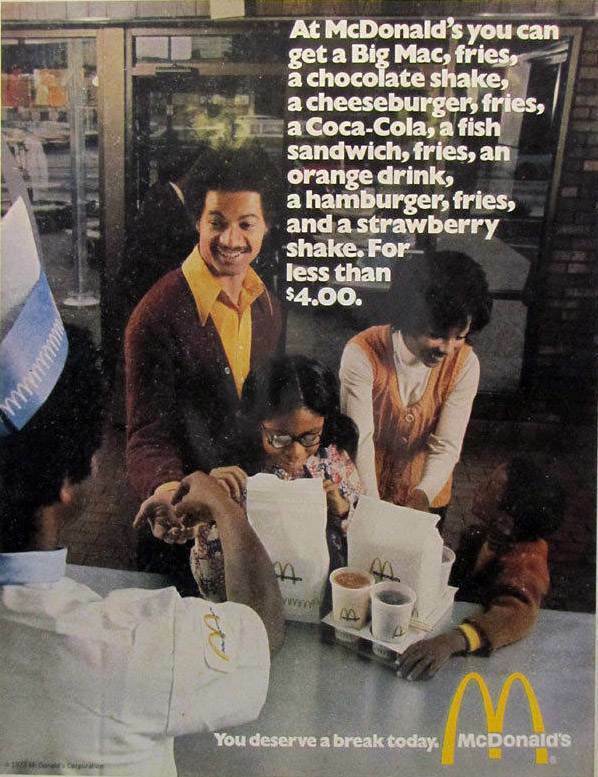 Despite the all the upgrades, McDonald’s still looked like a diner in the 1970s. An odd little giveaway from 1979. 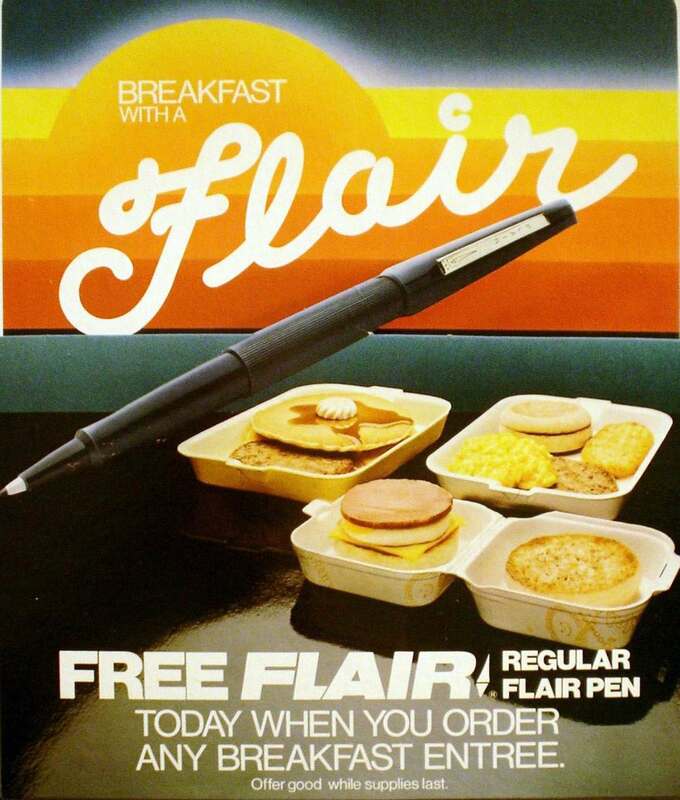 I can’t even comprehend McDonald’s handing out pens these days. 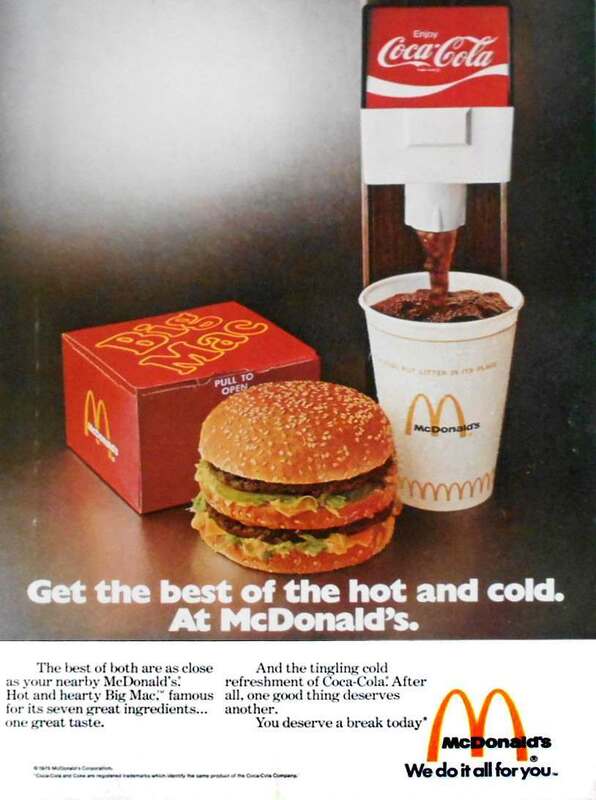 Competition began to intensify for McDonald’s around this time, and resulted in what’s become known as the “Burger Wars”. Wendy’s (“Where’s the Beef?”) and Burger King started to gain real ground. These adverts are operating on the strategy that the actual food is better quality. 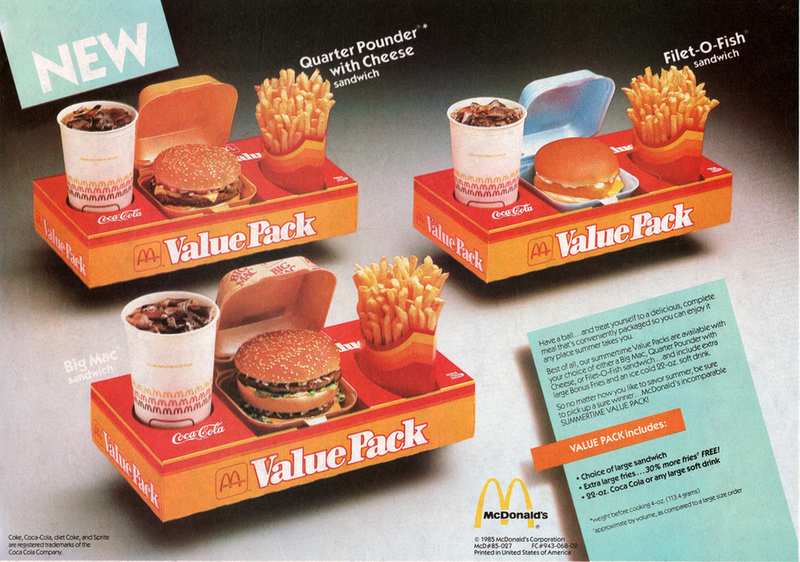 The Burger Wars yielded the Value Pack – a direct ancestor to America’s greatest love: the Value Meal. The Wars also forced McDonald’s to diversify their menu further – and, hence, the McNugget was born. 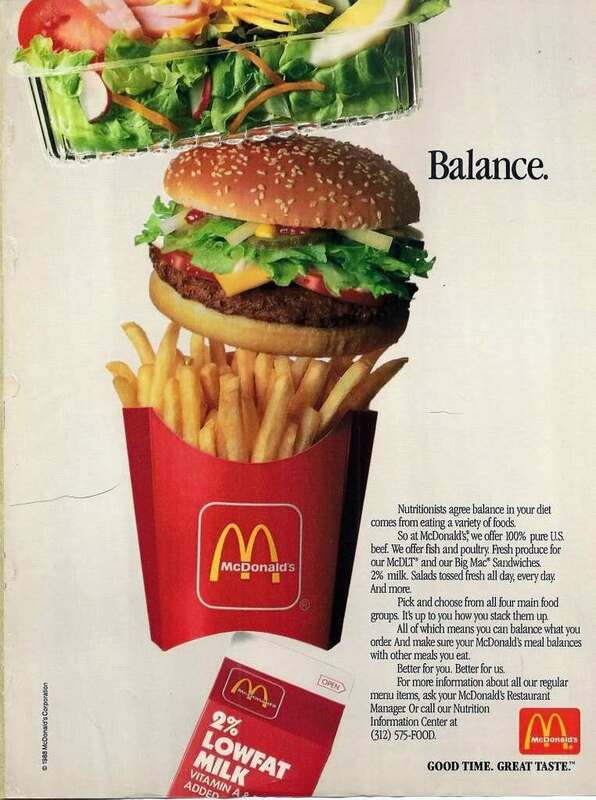 The McDLT was supposed to be healthier and better quality. The burger was served in an open Styrofoam container, with the bottom bun and meat on one half (which was hot), and the bun with the lettuce and tomato on the other half (which was cold). You had to then prepare it yourself. Needless to say, it was a failure. McDLT aside, the company emerged from the Burger Wars stronger. Today, it makes around $30 billion a year and has restaurants around the globe. Indeed, chances are very good you’re eating a fry at this very moment. Go ahead. It’s okay. You deserve a break today.